[Venice] : Bartholomaeus Cremonensis, [not after July] 1473. Purchased by Pierpont Morgan, 1912. Collation: [1-2¹⁰ 3¹² 4-12¹⁰ 13⁶]: 128 leaves. Colophon (leaf /6r): Quem legis impressus dum stabit in aere caracter / Dum non longa dies vel fera fata prement. / Candida perpetue non deerit fama Cremone. / Phidiacum hinc superat Bartholomeus ebur. / Cedite chalcographi: millesima vestra figura est / Archetypas fingit solus at iste notas. M.CCCC.LXXIII. NICOLAO TRUNO DUCE VENETIARUM REGNANTE IMPRRSSUM [sic] FUIT HOC OPUS FOELICITER. Contemporary Italian blind-tooled calf over wooden boards (30 x 21 cm), sewn on 4 supports; rebacked. Plain paper pastedowns; plain endbands; yellow edges. 4 clasps, wanting. Hand decoration: Italian illuminated white vine initial (leaf /1r), alternating red and blue initials and paragraph marks, yellow capital strokes. Annotations: No marginal notations in text. 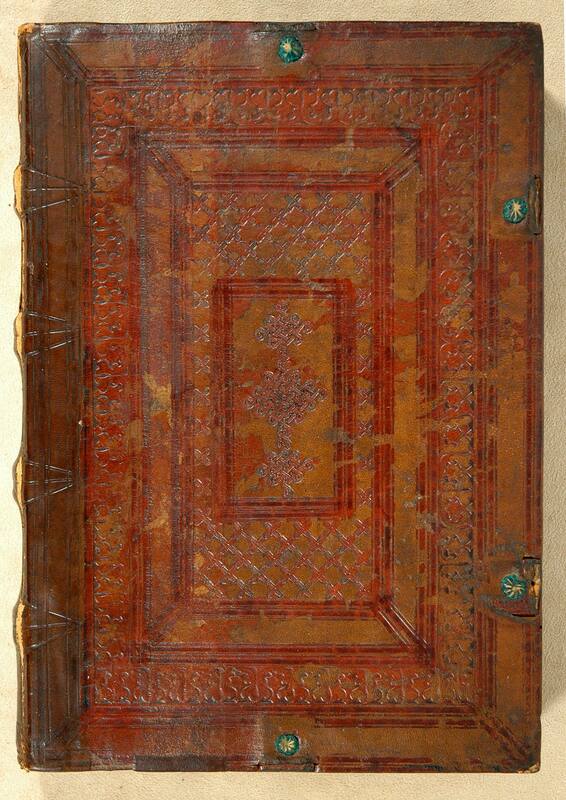 Red Roman numeral foliation in top center margins. Contemporary manuscript alpha-numerica quire signatures, mostly trimmed. Giuseppe Martini, unidentified catalogue, no. 53; Pierpont Morgan (1843-1913)y, purchased from Martini, Dec. 1912.